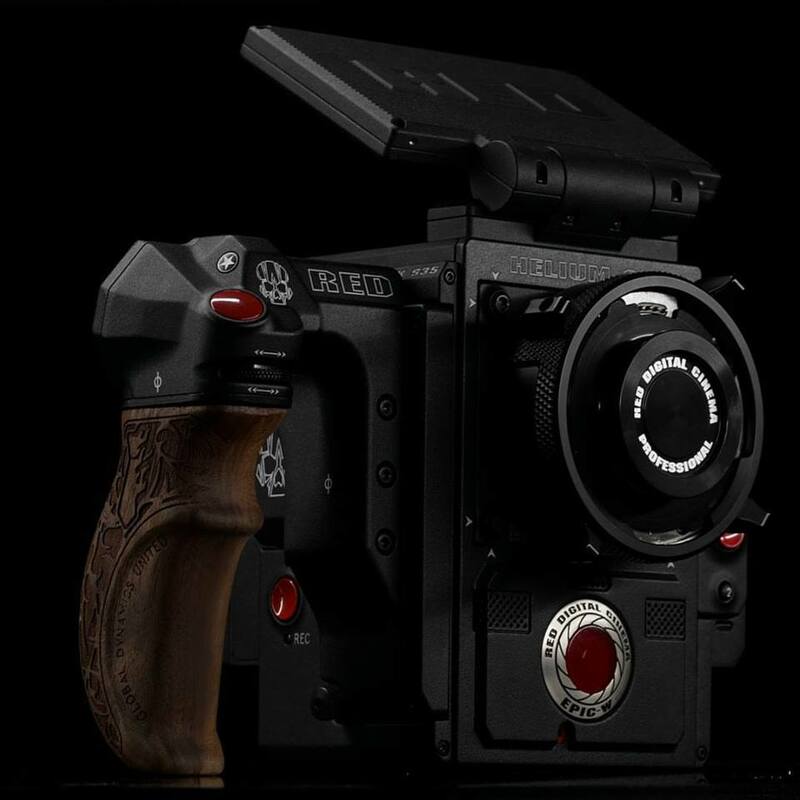 In what was (and still is) one of the biggest days for RED Digital Cinema, after weeks of teasers and sifting through 500+ pages on REDUSER.net just a few hours ago at precisely 11:00 AM PST, RED announced their highly anticipated EPIC-W and Weapon Helium 8K S35 cameras. 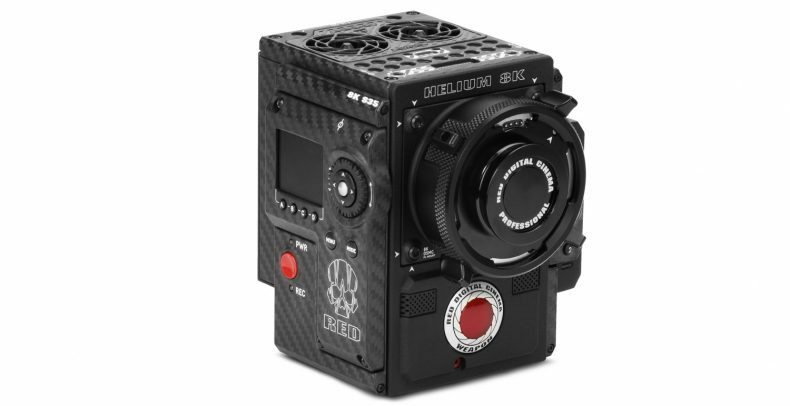 The new cameras feature the rebel camera makers’ latest Helium 8K Super 35 sensor that is said to feature vastly improved low-light performance, while resolving insane amounts of detail compared to previous generation RED Dragon 6K sensor, which is no slouch in both departments. 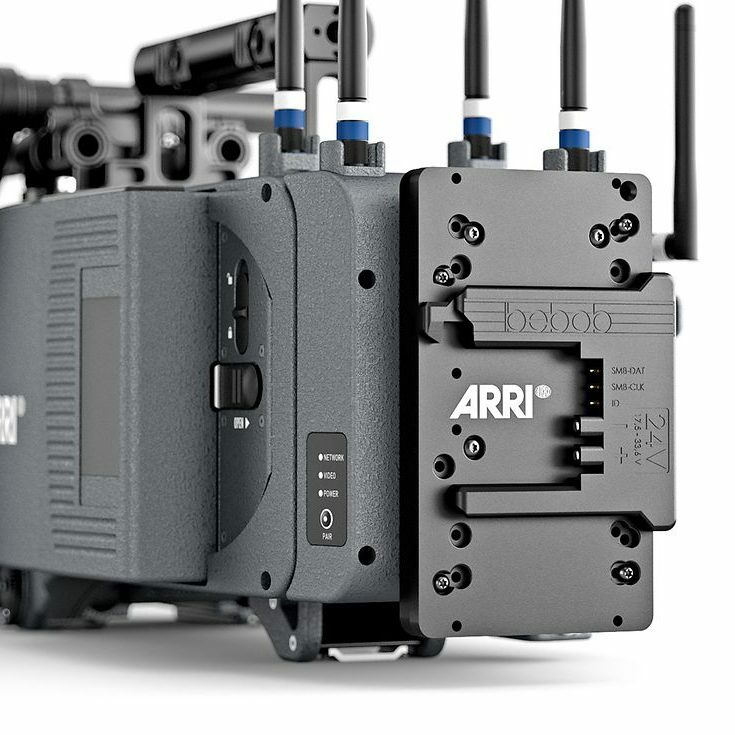 The EPIC-W makes the most affordable 8K camera made by RED at the moment with a maximum frame rate of 30fps in 8K and a Magnesium alloy body, that weighs only 3.35 lbs (Brain and media bay only); while the Weapon Helium 8K S35 sits above the EPIC-W in the RED hierarchy with its ability to shoot at the mind-blowing 8K/60fps and stealthier Carbon Fibre body option. 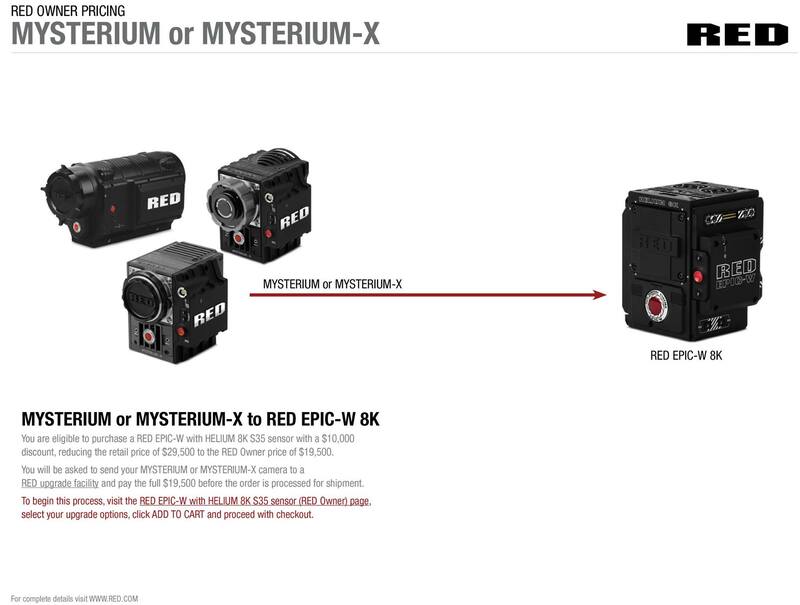 RED also announced details for the new Upgrade paths to the new 8K Helium sensor cameras for Epic/Scarlet Dragon cameras, Scarlet-W and Raven (which are based on the Dragon sensor), and even MX camera like the Epic-X. 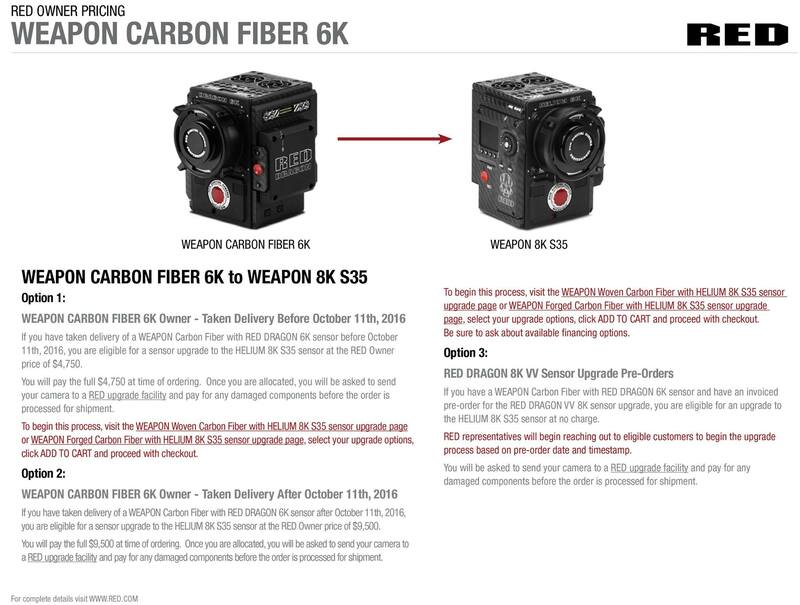 You can see details on the upgrade costs depending on which camera you own towards the bottom of the post. Here’s also a pretty sweet (and first ever) Unboxing/First Look video of the new RED Epic-W 8K camera by none other than leading Youtube tech reviewer/extraordinaire – Marques Brownlee or MKBHD. 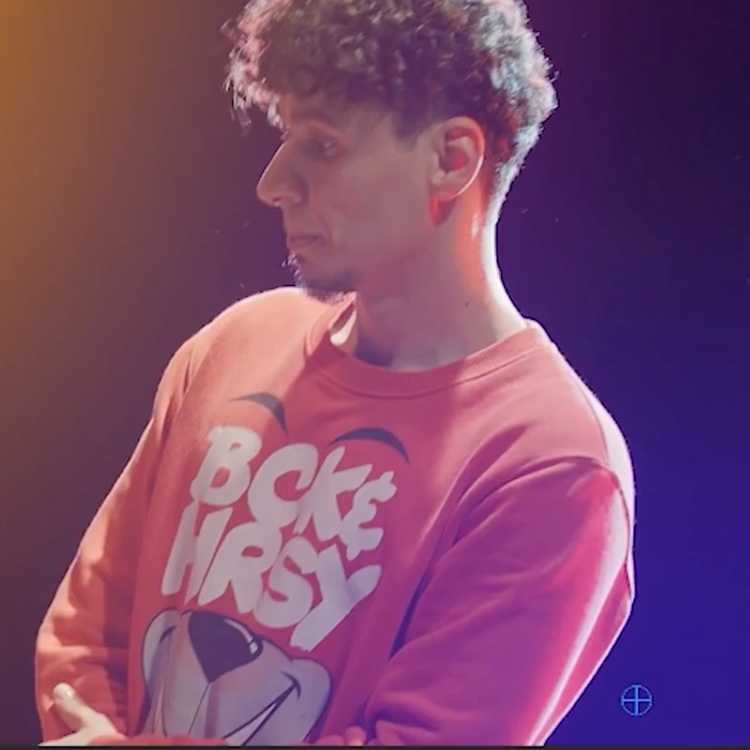 It’s worth to also note that he shot the unboxing video on the new RED Weapon Helium 8K in 6.5K res, but uploaded in UHD, as that’s the maximum supported by Youtube at the moment. 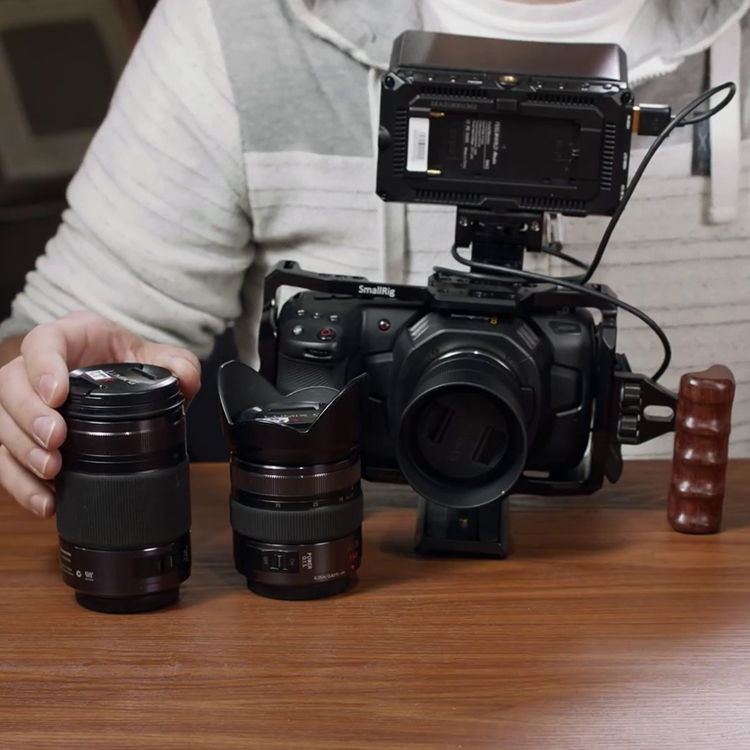 You can also check out this awesome stop-motion clip illustrating the total modularity of the RED camera ecosystem. 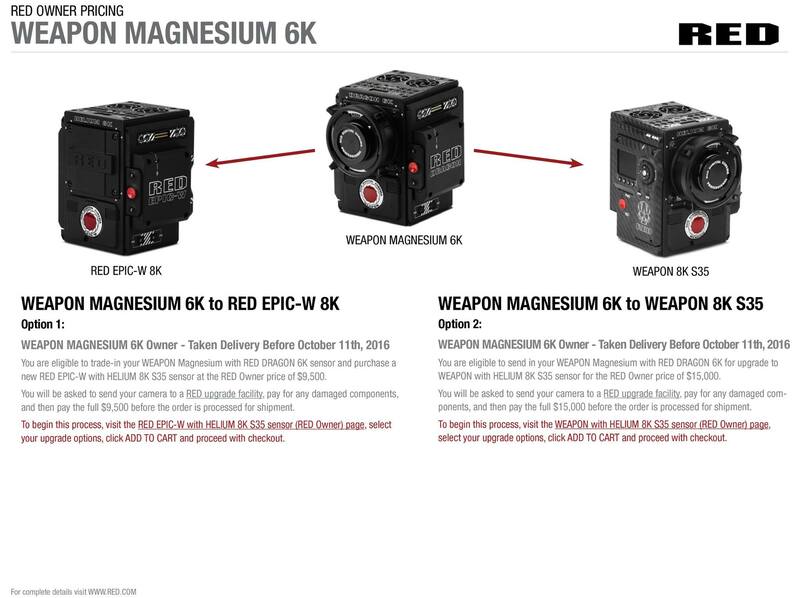 And while some manufacturers prefer to convince their customers that 2K is good enough, and that no-one really needs 8K now, but the good folks at RED have always been forward (way, way forward) thinkers and have prepared the Weapon Helium 8K S35 just for those productions that require the ultimate picture quality that is totally “future-proof”. As much as I dislike using that word, which long lost its meaning in our industry, when it comes to resolutions and detail, I don’t think you can get any more future proof than that. 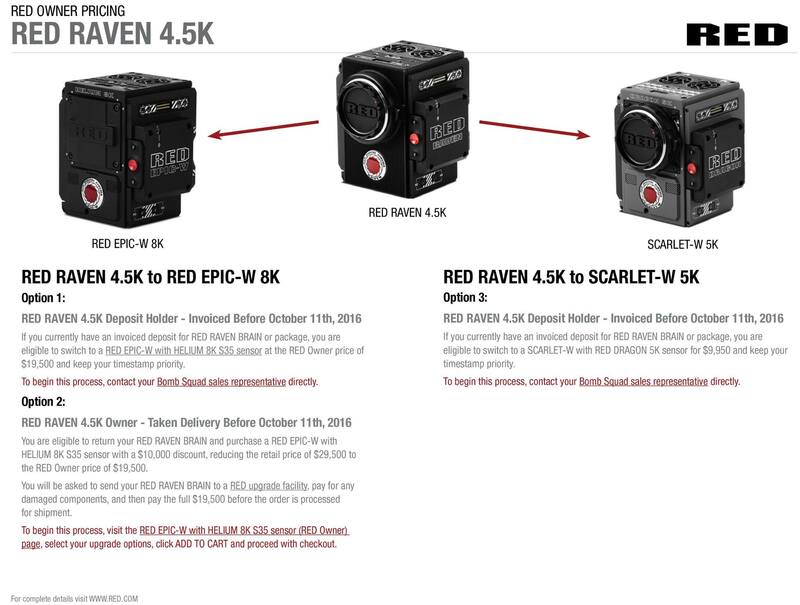 And while 8K resolutions are not for everyone except maybe those shooting high-end stuff with a built-in post infrastructure, being an early 8K adopter certainly in the case of RED Scarlet-W deposit holders can pay off hugely – as they get a whopping $10K discount off the price of the new EPIC-W 8K brain, due to the enormous waiting times for Red Scarlet-Ws. See the upgrade options announced for existing owners and deposit holders below (click on images below for full res). 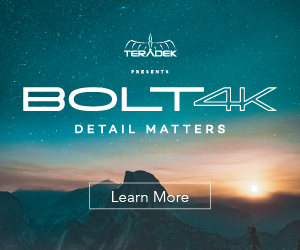 For those on the fence, or just in need of some inspiration, check out Mark Toia’s exquisite piece on why he chose the Helium 8K sensor here. 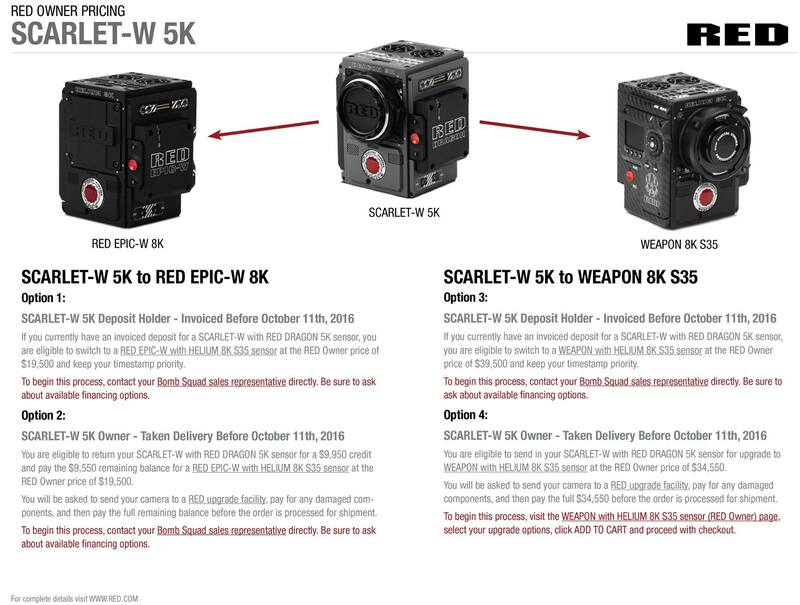 For SCARLET-W customers – either those with a SCARLET-W deposit in and the desire to change that to EPIC-W or WEAPON HELIUM OR wanting to trade in their existing SCARLET-W for EPIC-W or WEAPON HELIUM, RED has negotiated a 12 month, 0% financing offer with a few select leasing agencies. This currently is being offered for our US, Canadian, and RED EUROPE LTD customers. Both dealers and direct customers can participate. Please contact your rep for details. 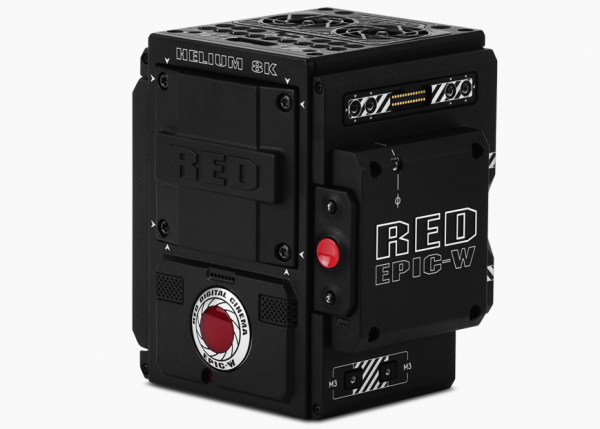 EPIC-W and WEAPON 8K S35 are both available to ship today. Visit RED’s online store to place your order now, or visit the locations page to find a RED office or Authorized Dealer in your area. Customers can also reach directly to their Bomb Squad rep to take advantage of select RED Owner Pricing options. For further details and more info head over to RED.